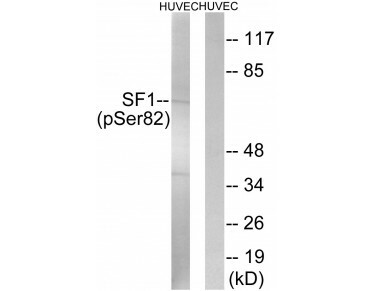 Description: SF1 (Phospho-Ser82) Antibody detects endogenous levels of SF1 only when phosphorylated at serine82. 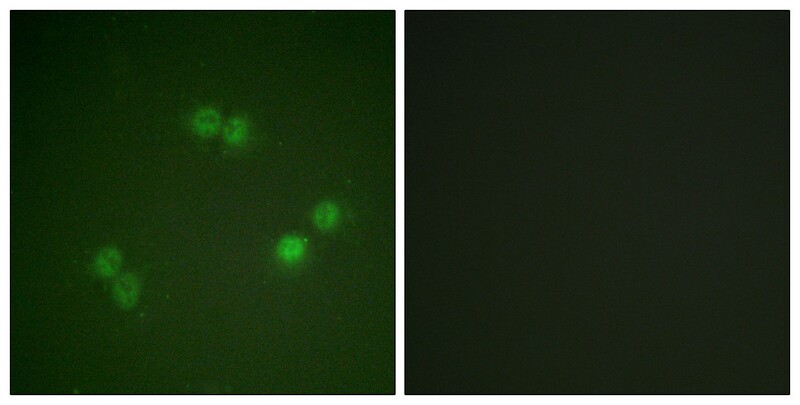 This antibody may replace item sc-177973 from Santa Cruz Biotechnology. 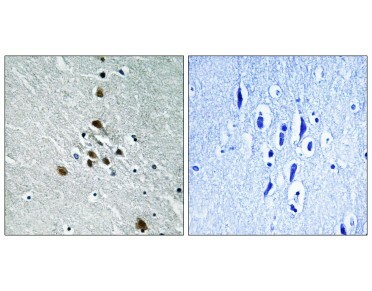 The antiserum was produced against synthesized peptide derived between 48-97 amino acids from the N-Terminal region of human SF1 around the phosphorylation site of Ser82. 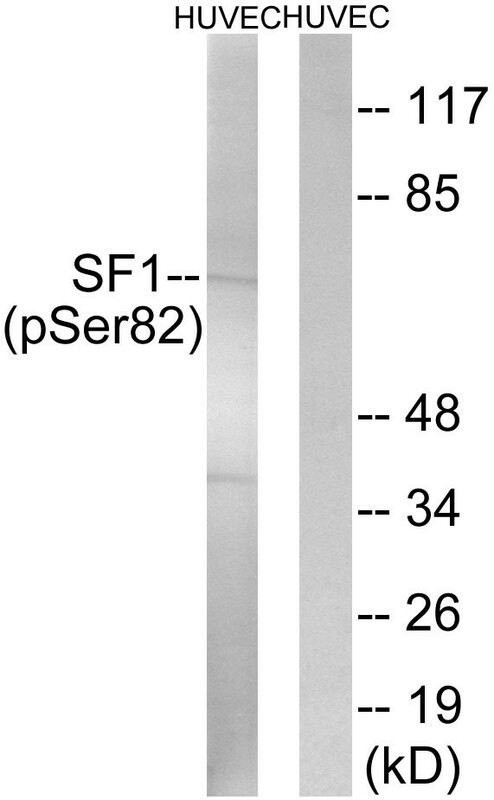 SF1 (Phospho-Ser82) antibody detects endogenous levels of SF1 only when phosphorylated at serine 82. Susan Y. Park, Development, May 2005; 132: 2415 - 2423. Dujin Zhou, Mol. 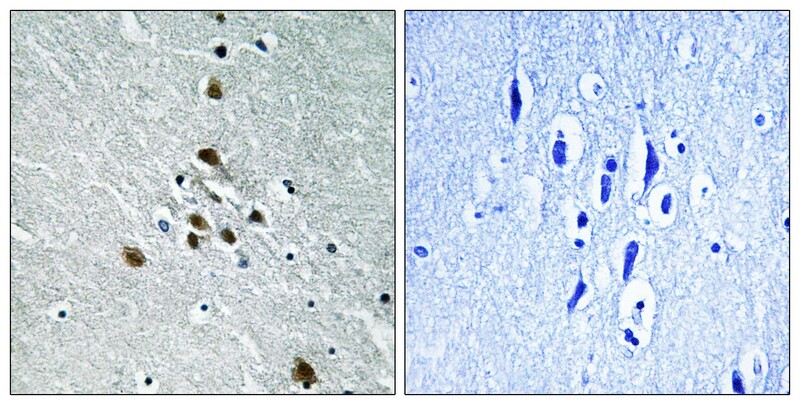 Endocrinol., Jul 2000; 14: 986. Dagmar Wilhelm, Genes & Dev., Jul 2002; 16: 1839. Philipp Gut,Development, Oct 2005; 132: 4611 - 4619.